Apple Maps is terrible. If you disagree, you probably work for Apple. Unfortunately, if you wanted navigation directions sent from your iPhone to your car's Apple CarPlay interface, the only option was Apple Maps. Well, that's not entirely accurate. The other, vastly more popular option was to use Google Maps or Waze, and then place the iPhone within reasonable sight somewhere in the car. You know, the totally not-especially-safe way. So that's the back story. 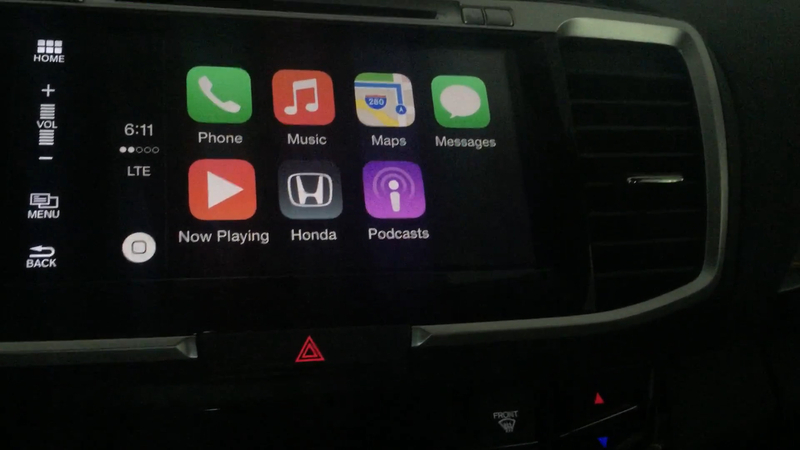 The news today is that Apple has finally stopped trying to make Apple Maps happen, and will make Apple CarPlay function with third-party navigation apps like Google Maps and Waze with the latest iOS 12 update. That means those apps' superior traffic reporting data, re-routing capabilities and general direction providing will now be available within the safer confines of your car's main display screen. Google Maps and Waze can also be superior to OEM integrated navigation systems. Address and POI search in particular are more comprehensive, traffic reporting almost always covers more roads, and it's easier to choose multiple routes based on travel time. Waze also alerts you to the presence of speed cameras and police speed traps. On the other hand, like any smartphone app, their function diminishes when you don't have service. With Android Auto already available with Google Maps, it wouldn't be surprising if its addition to Apple CarPlay makes the popularity of integrated navigation wane even further.